Published on 24 May 2013. 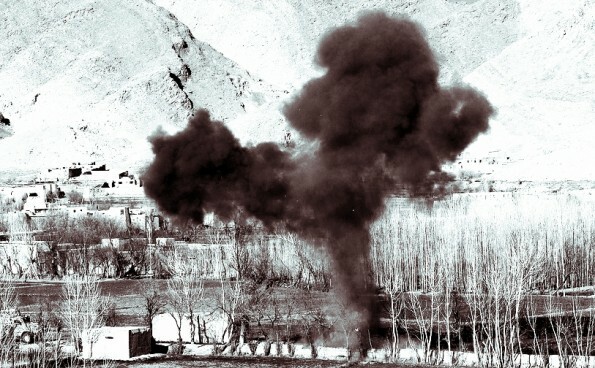 My recommended read for this week comes from The Daily Beast, in which Heidi Vogt describes the harrowingly mundane process of reporting on bomb blasts in Afghanistan during her time as an AP foreign correspondent. It gives real insight into this particular aspect of war reporting in the 21st century, where every second counts when it comes to reporting news. It’s well worth a read. The picture at the top of this post shows the detonation of an improvised explosive device by the US army’s bomb disposal team at Bagram Airfield. It was taken by Sgt Rob Frazier, posted on Flickr, and has been modified and used under Creative Commons licence. This 2,023rd post was filed under: Weekend Reads, Afghanistan, Heidi Vogt, The Daily Beast.